The Ethics and Anti-Corruption Commission has urged locals in Migori County to come out and report on corruption cases in the County. This is after the EACC received a low number of reports from locals on corruption from different sectors in the County. For instance, the commission’s Deputy Regional Manager Arthur Opili said the Huduma Center in Migori town received zero reports on corruption in January this year. Opili who is in charge of Nyamira, Kisii, Migori and Homa-Bay attributed this to lack of information by locals on how to report corruption cases they witness in the County. The Deputy Regional Manager said EACC had embarked on a weeklong exercise to train locals on forms of corruption and how to report them. “The Huduma Center here receives very few reports and in fact in January we received zero reports,” Opili said. 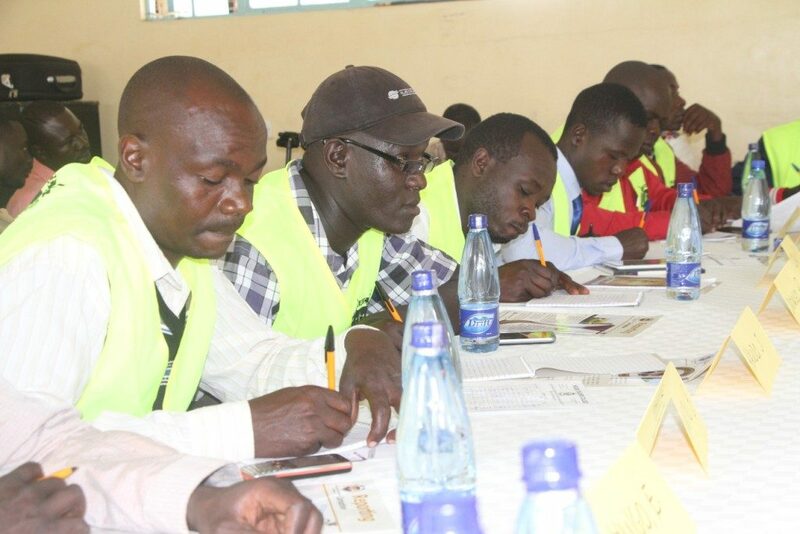 In Migori they selected boda boda riders from the eight sub counties for training at Migori Teachers Training College. “Specifically we wanted them to understand the importance of reporting on corruption or any other ethical issues,” the regional manager said. Opili said boda boda was the most affected by corruption as they dealt with County askaris and police officers but they failed to report the incidences. He said the riders were trained to get information on corruption and know places to report to in addition to being given EACC contacts to facilitate the reporting on corruption incidences. Migori traffic base commander Aggrey Ukiru however urged the riders to comply with traffic rules to avoid being ‘harassed’ by police officers. “We are hoping that by the end of this month before we start enforcing as required by law the deadline being the 31st of this month to ensure that the boda boda riders are compliant,” Ukiru said. Boda boda Safety Association of Kenya national chairman Kevin Mubadi said they were happy to partner with the government in the fight against corruption. “That is why we are happy to come out and train our members and officials across the country how to report corruption and how to detect corruption,” Mubadi said. Mubadi said boda boda riders will use all their efforts to ensure the war against corruption is won.